SSSA will significantly contribute to: (i) the coordination and administrative management of the project; (ii) the development of the two generations of CLs++ knee-ankle-foot orthosis, CLs++ instrumented shoes and CLs++ bidirectional interface; (iii) the development of reliable algorithms for real-time incipient-fall recognition and fall-risk mitigation; (iv) the integration of the two generations of CLs++ HW/SW modules and related certifications; (v) the dissemination of the project results; (vi) the assessment of the economic viability of the CLs++ products. The main roles that UCL will assume are: (i) the design of bio-inspired control approaches transferring physiological principles into robot behavior, with a specific focus on the development of a methodology to tailor the parameters of the ortho-prosthesis control to the specific motion abilities of each potential amputated user; (ii) the design and analysis of pre-clinical and clinical protocols aiming at validating the developed devices. VUB contributions will come from two different departments, i.e. VUB Robotics and Multibody Mechanics (VUB-R&MM) and VUB Human Physiology department (VUB-MFYS). 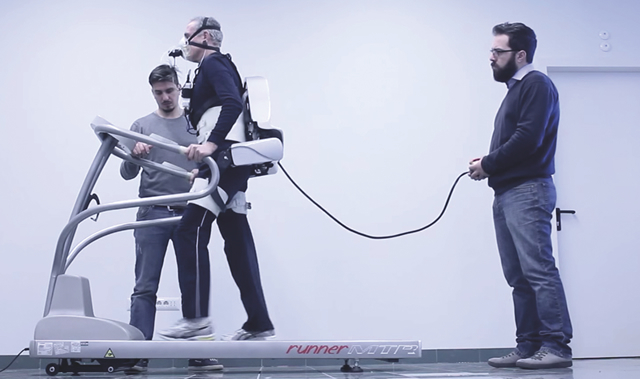 VUB-R&MM will contribute to the development of the two generations of CLs++ powered prosthesis. VUB-MFYS will cover an important role in carrying out the two clinical studies as one of the two leading centers. The main contributions of UL in CLs++ will include: (i) the design and development of the new generations of the CLs++ set of IMUs; (ii) advancement and optimization of the CLs sensory fusion algorithms; (iii) development and advancement of reliable intention detection strategies to decode the amputee’s movement between the main locomotion tasks of daily living activities. 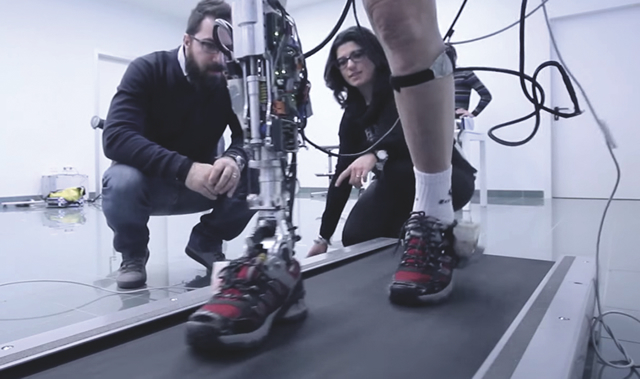 FDG will be responsible for leading the two CLs++ clinical studies in which transfemoral amputees will use the ortho-prosthesis to regain the ability to carry out locomotion tasks (i.e., ground-level walking, climbing/descending stairs, walking on slopes). In particular, FDG will lead the activities of patients recruitment and data collection. FDG will also lead the activities to prepare the documents necessary to gain the approval from the local ethical committee. FDG will closely interact with the VUB-MFYS team. OSS will lead the CLs++ Innovation Management Panel. 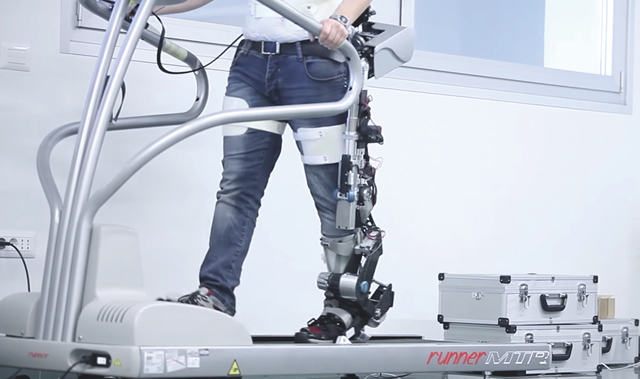 Throughout the duration of the project, OSS will give input into the design, development and validation phases given the considerable experience in testing, test conditions and validations as a leading company in the prosthetic/orthotic market. OSS will provide general support for other project partners, as well as being the link to commercialization and protection of knowledge. IUVO will significantly contribute to: (i) the development of the two generations of CLs++ active pelvis orthosis; (ii) supporting the integration of the two generations of CLs++ HW/SW modules and related certifications; (iii) promoting the commercial exploitation of the project results in close synergy with OSS.